For those of you who have enjoyed Part #1, we expect you will enjoy Part #2 equally. George Bowler Tullidge, III, was born on January 22, 1924 in San Francisco, CA, the son of George Tullidge and Anne Archer Hogshead. By age one, he and his family had moved to Richmond, VA; and one afternoon he awoke from a nap and could not use his right arm. He was diagnosed with Polio, the family was placed in quarantine, and precautions were taken to protect the other children in the apartment building. After several months, the disease did not spread and George was able to use his atrophied right arm. Shortly after getting out of quarantine, the family moved to Staunton, VA.
His parents encouraged George to participate in as many sports as possible and he attended “Buck” Pitt’s camp several summers as Counselor. He attended Staunton Military Academy for the last 2 years of high school. While at SMA, he met a young man named Peter Fick, who was on the swim team. Peter encouraged 12-year old George to practice with the team and in May 1936, Mr. and Mrs. Tullidge drove Peter and George to the Olympic Trails in Washington DC. Peter entered George in a Freestyle event. That summer, Peter swam for the US Olympic team in Berlin and he went on to become a great swimmer. George had to compensate for his atrophied right arm in the swimming pool and found that he competed best in the Backstroke and Freestyle. His parents drove him to AAU and regional swimming events through out the Mid Atlantic states in which George continuously set records. Swimming was not his only passion, he also focused on church, its youth group, his two younger brothers, and he became an Eagle Scout. 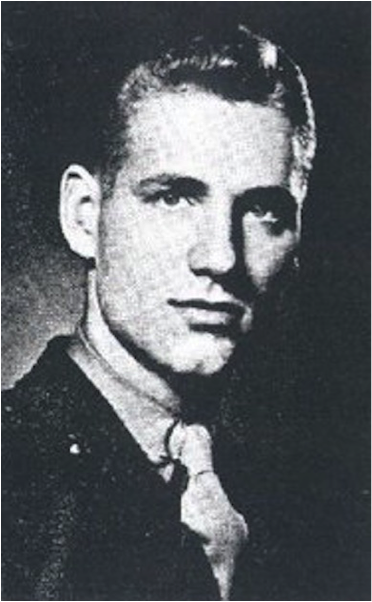 George entered Virginia Polytechnic Institute (now Virginia Tech) in 1941 where he joined the swim team and was a member of the Cadet Corp. On February 6, 1942, Duke held a joint varsity and Freshmen swim meet against VPI. Newspaper headlines stated “Six pool marks shattered in Duke Meet.” Duke’s varsity out swam VPI, but the VPI freshman distanced themselves from Duke’s Blue Imps 37-22. Tullidge won the 100 yard backstroke in a new pool record of 1:05. He also helped the 150 yard medley Relay Team set a pool record of 1:26. About an hour after we landed, George and I met each other near a small farmhouse. 10 minutes later we were fired upon by a German Sniper almost hitting us both. The sniper was not alone, so we tried to outflank them but ran into all kinds of machine gun fire. (Our officers) told us to set up positions. It was hard for us believe we were in combat. The Germans began shelling out positions so we had to move. We walked down a road and onto a railroad track. A Colonel called us out to come help his unit. George went up a bank to get on a (Le Fiere Bridge) a bridge … I went on the other side of the tracks. Tullidge took up a machine gun position and helped hold off the Germans. Later I found out George had been wounded in the right hip and evacuated to a field hospital, but only Tullidge refused to withdraw until the enemy had been routed. On June 8, 1944, Sergeant Tullidge died from his wound and was buried at Cambridge American Cemetery, England. Mrs. Tullidge’s grief over her son’s death and love, led to her publishing and distributing over 300,000 copies of “A Paratroopers Faith” for 50 years. The small booklet was a printed version of the notebook she sent George in England.. In 1989, she received a “Decoration for Distinguished Civilian Service” from the Pentagon for her dedication to her moral support of soldiers. Today at Fort Bragg, NC, there is a road named Tullidge Way in honor of George Tullidge. All too often we give lip service to our recognition of Memorial Day. Oh, we can be assured of TV war movie marathons, local VFW events, parades, and this is the day cemetery gravestones receive new flags if they don’t on Flag Day, but unless we have a Veteran in our family, I’ll bet we don’t know of another. We’d like to change that this year. 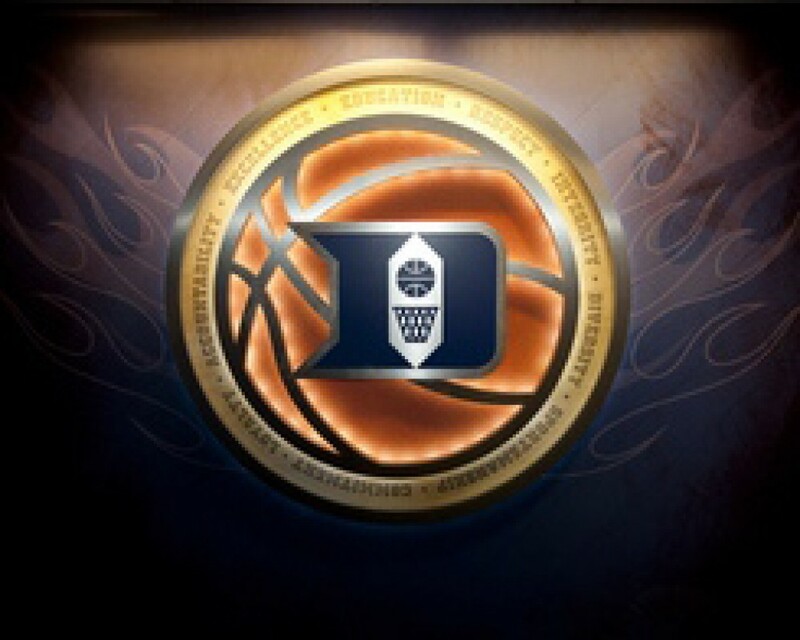 Thanks to a good friend of SDBB, regular contributor Bill Wheeler, we are connected to 2 very special men, with links to Duke University Sports. These are not names that roll out of anyone’s consciousness, so we wanted to turn over SDBB to Bill for the weekend, and let him tell you about these members of “The Greatest Generation” you’d otherwise probably never hear of. Etched in my mind are fond memories of the summers I spent at a camp run by the infamous University of Richmond Baseball Coach, Malcolm Pitt and his son Malcolm “Buck” Pitt, Jr.
“Buck” served in the Navy in WWII and was seriously wounded in the D-Day invasion of France. My appreciation for veterans began with Buck’s influence. It has immensely grown during the last 4 years of my volunteer activities at the Virginia War Memorial in Richmond, VA. The Memorial honors Virginians who sacrificed their lives in conflicts beginning with WWII. Whenever the opportunity arises, I try to share stories of veterans. 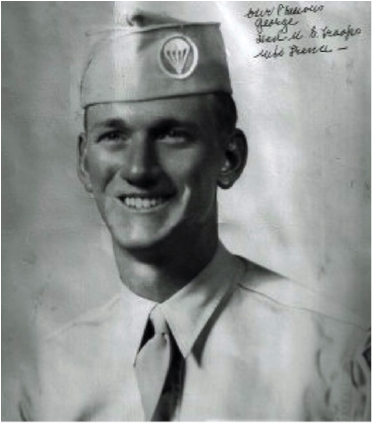 The following article is about one of two young men who attended Coach Pitt’s camp, ultimately exchanged their athletic skills and college education to serve our country in WWII. James C. Trimble, III, was born October 25, 1925 to James Trimble, Jr. and Ruth Alverson. He grew up in Chevy Chase, Maryland, and by age 4, his parents had separated and eventually divorced. Without a father figure around, Jimmy gravitated to playing baseball on the streets with older boys where he developed solid athletic skills. He often rode a streetcar with his friends to Griffith Stadium to see the Washington Senators, and on one of his trips, he saw Bob Feller pitch as a Reliever. The popping sound of Feller’s pitches hitting the Catcher’s mitt resonated in his mind. As a teenager, Jimmy attended Pitt’s summer camp, attended and graduated from St. Albans School. Jimmy was an All-District end in football, captained the basketball team, and was an outstanding baseball Pitcher under the direction of Bill Shaw, a member of the 1932 US Olympic baseball team. By Jimmy’s Senior year, Washington DC Sports Reporters were following his baseball prowess. He threw 3 No-Hitters at St. Albans and his team went undefeated as a Senior. His baseball abilities drew the attention of Clark Griffith, owner of the Washington Senators, who wrote a letter to Jimmy in May 1943. Griffith wrote Jimmy a letter inviting him to a tryout, he was so impressed with Jimmy’s skills that he wanted to sign him to the Senator’s Farm System, but his mother insisted he finish school. In June 1943, Griffith gave Jimmy a $5,000 Signing Bonus and agreed to pay for a 4 year scholarship to Duke University. In exchange, Jimmy would play for the Senators in the summers. Jack Combs, a former professional Pitcher, coached Duke. Jimmy entered Duke and played fall baseball, yet Service to his country remained forefront in his mind. Jimmy tried to join Officer Training but was disqualified because of defective sight in one eye. Instead of getting a waiver, he chose to enlist in the Marines in January 1944. After Basic Training, he stayed two additional months and played for the Paris Island baseball team. He was shipped to Guam to work on Reconnaissance Patrols that routed out any remaining Japanese on the island. While in Guam, Jimmy shared Griffith’s letter with his Commanding Officer and got a tryout and spot on the Third Division Baseball Team. He achieved a record of 21 straight victories and played for the Marine All Stars where he earned a 6-2 record against many fellow soldiers who were professional baseball players. He often wrote letters home to his mom and his girlfriend. As the time passed it was evident that his belief in God grew and asked for their prayers. Jimmy was shipped off to Iwo Jima. Officers had estimated this battle to last 4 days, but it turned into more than a month. Torrential rains made the volcanic ash on the island into mud, and bodies were scattered everywhere when the Third Marine Division’s landed on Iwo Jima on February 24, 1944. The Third Marine Division took heavy casualties from Japanese rockets and on February 27, a Platoon Commander asked for 8 volunteers to find the location of the rocket sites. Donald Mates had been with Jimmy on Guam and remained with him on Iwo Jima. He and Trimble were 2 of the 8 volunteers. At midnight, Mates and Trimble were in a foxhole when a Japanese flare went off. Peering into our hole was a Japanese soldier, who struck Jim in the back right shoulder blade with a bayonet. As flares lit up the sky, 2 grenades landed in the foxhole, one between my legs. The brunt of both explosions hit Jim and one blew part of my thigh off. He was still alive with his back, upper arms and the back of his head a mass of wounds. Just then, another Japanese soldier jumped into the hole with a mine strapped to his stomach and proceeded to wrap himself around Jim. Both of them were killed. Two months after Private Trimble’s death, a ceremony was held on Guam and the Third Division baseball field was named in memory of Trimble. Trimble was buried in Rockcreek Cemetery in Washington, DC. He was remembered at a Veterans Day 2000 tribute to the baseball heroes of WWII. Today the Young Marines offers the Jimmy Trimble Scholarship for the outstanding male and female applicants.